Can You Contest the Will? If a will does not meet the basic requirements necessary to be valid, it will not be admitted by the probate court. Even if the requirements for executing a valid will appear to be met, the will may nevertheless be subject to attack if it is the result of undue influence or fraud, or if the testator is incompetent. In these cases, the will is open to be challenged. This is known as a will contest. A will contest is basically a lawsuit challenging the validity of a will for one reason or another. 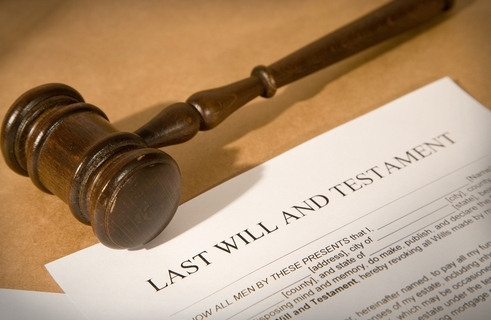 A will contest is definitely something that you will want to hire a lawyer to help you with. A Nevada probate attorney can help you understand the strengths and weaknesses of a will contest claim. Does the will leave the estate to a caregiver? Was the will changed shortly before death under odd circumstances? Does the will give an unusual amount of the estate to one child or a non-family member? Was there a Certificate of Independent Review? For an experienced probate attorney in Las Vegas, call us today for a free evaluation of your will contest case – (702) 894-4110.